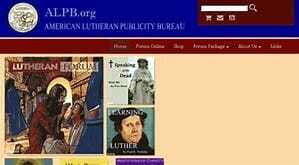 The American Lutheran Publicity Bureau is a historically independent Lutheran publisher of the Lutheran Forum magazine, Forum Letter, and various books and tracts including the four-volume “For All the Saints” breviary. 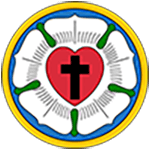 We believe that these doctrines reflect God’s design of humanity, marriage, family, and society, and that teaching them is part of our mission as a church and school. We also believe that in this fallen world people who are loved by God experience difficulties and brokenness for themselves and their families when God’s good designs do not seem to work or apply properly in their lives, and we seek to have nothing but compassion for people in those circumstances. As fellow sinners we recognize that our church and school communities are filled with people whose individual and family lives do not and cannot perfectly reflect God’s will or design, and we preach full and free forgiveness for Christ’s sake to all who repent and trust in Him for salvation. 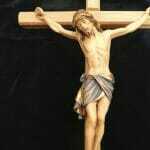 While we struggle to apply them, the doctrines and designs themselves remain good and true.